Clima@EduMedia is a project developed by the Faculty of Arts & Humanities of the University of Porto under the Programme AdaPT - Adaptando Portugal às Alterações Climáticas (Adapting Portugal to Climate Change), with a mission to support the national education on climate change, through media. The aim is to promote innovative approaches to teaching and learning of contents related to climate change in different national schools, focusing on adaptation and mitigation.  With the support of school media, Clima@EduMedia aims at teaching students to produce media content on climate change, so as to promote learning through practice and bringing the content closer to everyday life. With this teaching method, students will be able to assimilate the material, to think about adaptation and mitigation solutions to their schools and villages, and also to communicate their ideas with the wider community. The project involves several steps, from creating an online platform for sharing information between schools and the general public to the completion of training either for teachers or for students. At the end of the project, there will be a national contest that will award the best adaptation and mitigation ideas developed by students in schools. Clima@EduMedia was designed according to the National Climate Change Adaptation Strategy – ENAAC – and it is financed by the EEA Grants programme. The use of media in teaching holds numerous advantages and its pedagogical value is increasingly recognized by the education community. The introduction of the media in schools usually occurs in two ways: by showing media pieces in classroom related to the contents taught and the encouragement given to students to take on the role of journalists and produce media content on the subjects taught. This is an advantageous approach because it encourages active learning and puts students in the position of receiver/creator of media products. - To assist in learning, new and original abstract concepts, especially when these are presented in verbal and visual format (e.g. Salomon, 1979). - Stimulate students to research the topic in order to produce media content on global warming, for example. This is the philosophy that Clima@EduMedia wants to implement in the Portuguese educational institutions. Salomon, G. (1979) Interaction of media, cognition, and learning: An exploration of how symbolic forms cultivate mental skills and affect knowledge acquisition. San Francisco: Jossey-Bass. Sterman, J.D. 2011. Communicating climate change risk in a skeptical world. Climatic Change. 108: 811-826.